Watch out, Sonos: Google wants to take on the connected audio market, and it’s launching its onslaught with a potent weapon, as well as some big partners. Sony, LG and Denon will all show Wi-fi connected speakers at CES in Las Vegas this week that support Google Cast, the same technology that’s at the core of Google’s popular Chromecast streaming stick. Google Cast for Audio, as the initiative is officially called, isn’t starting from zero: Partners are able to add cast capabilities to existing products through firmware updates. Denon for example is using this to make all the speakers and home audio products from its HEOS line cast-capable. 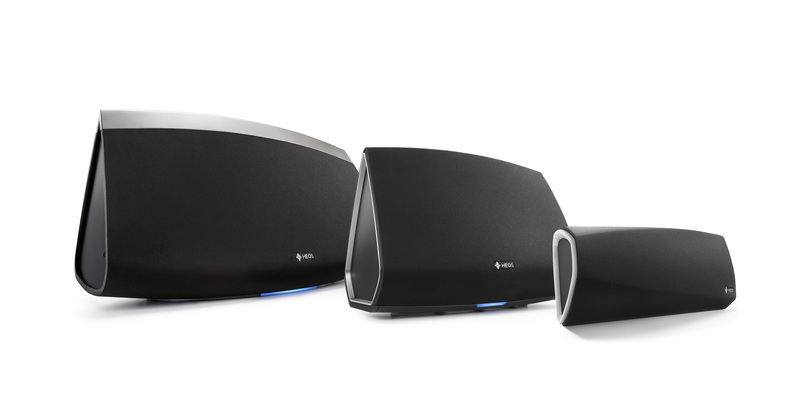 Denon’s HEOS speakers will soon support Chromecast apps. Existing HEOS owners will be able to add the feature through a firmware update. These speakers will support dozens of music streaming services and podcasting apps, including Pandora, Rdio, TuneIn, iHeartRadio, Google Play Music, 8tracks, NPR One and others. And just like with Chromecast, all of the interaction happens on the mobile device, with users simply shifting their audio streams from their phone to their speaker by pressing the cast button within the app that they’re already accustomed to using. After that, users will be able to turn off their phones or do something else, since streams are launched from the cloud, just as it is the case with Chromecast. “The world is moving to mobile first,” [company]Google[/company] Cast Director of Product Management Rishi Chandra said during a recent interview. With audio, that’s been happening even more than with video, so it made perfect sense to extend casting to the world of audio, he argued. Google is also working with chip makers [company]Broadcom[/company] and [company]MediaTek[/company] as well as home theater systems integrator Libre Wireless on Google Cast for audio products, and Chandra told me that the company is going to reveal additional partners later in 2015. The plan is to bring casting not only to Wi-Fi connected speakers, but also sound bars and A/V receivers. Plus, Google Cast integrates with multiroom audio technologies developed by each vendor, so users will be able to cast their music streams to multiple speakers in the same house, and even maintain different zones, just like they can with a Sonos setup. Chandra told me that [company]Sony[/company], [company]LG[/company] and [company]Denon[/company] will all show off multiroom audio capable speakers with Google Cast support at CES this week. Bringing Google Cast to connected speakers is a bit of getting back to the roots for Google: The company launched its own connected audio product, dubbed the Nexus Q, in 2012. The device was expensive, looked odd, and had very limited support for third-party services. Met with lots of criticism, Google decided to scrap the launch of the Nexus Q just a month after announcing it. However, the Nexus Q was the first device to experiment with the casting paradigm, which then became core of the Chromecast experience. “The Nexus Q was an early iteration of this long-term vision,” acknowledged Chandra during our interview, adding that the company spent a long time trying to get the home media experience right. Using Google Cast for home audio is a pretty smart move for the company. Not only are there already lots of Android, iOS and web apps available that support Google Cast, but it also hits a nerve with consumers who have bought a Chromecast in the past. Google hasn’t released any sales numbers for the device, but recent estimates put Chromecast ahead of Apple TV, making it the second-most-popular streaming device in the U.S. in 2014. Sonos already got support for Google casting last year. You can cast from the Google Play app to Sonos, or connect to Google Play from within the Sonos app.